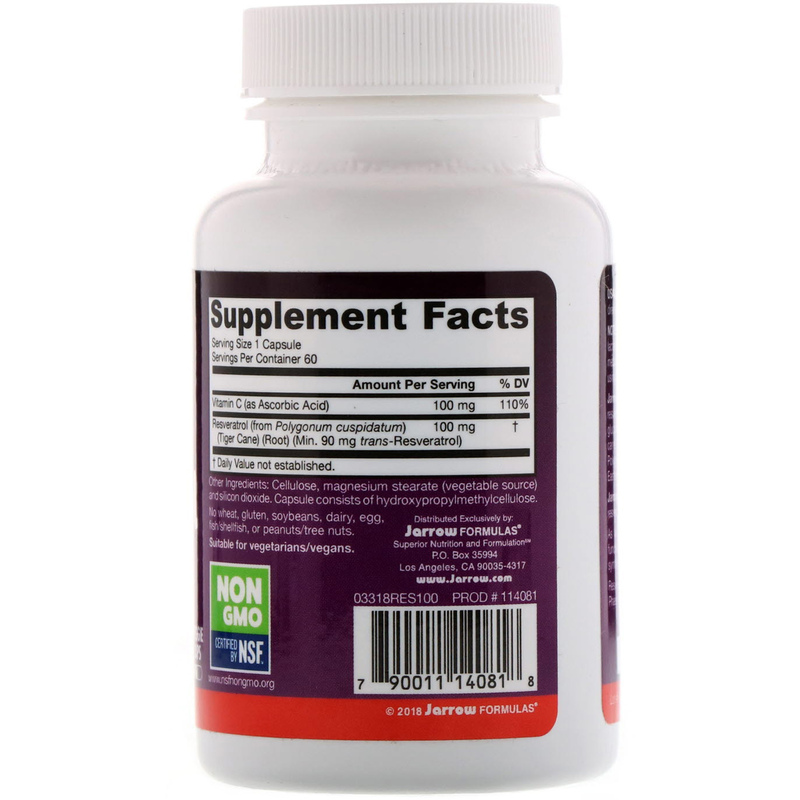 Jarrow Formulas Resveratrol contains 100 mg of resveratrol (3, 4', 5-trihydroxystilbene) and resveratrol glucosides (piceids) extracted from Hu zhang ("tiger cane") root, also known as Polygonum cuspidatum. Polygonum extracts have a history of usage in traditional eastern medicine as cardiotonics. 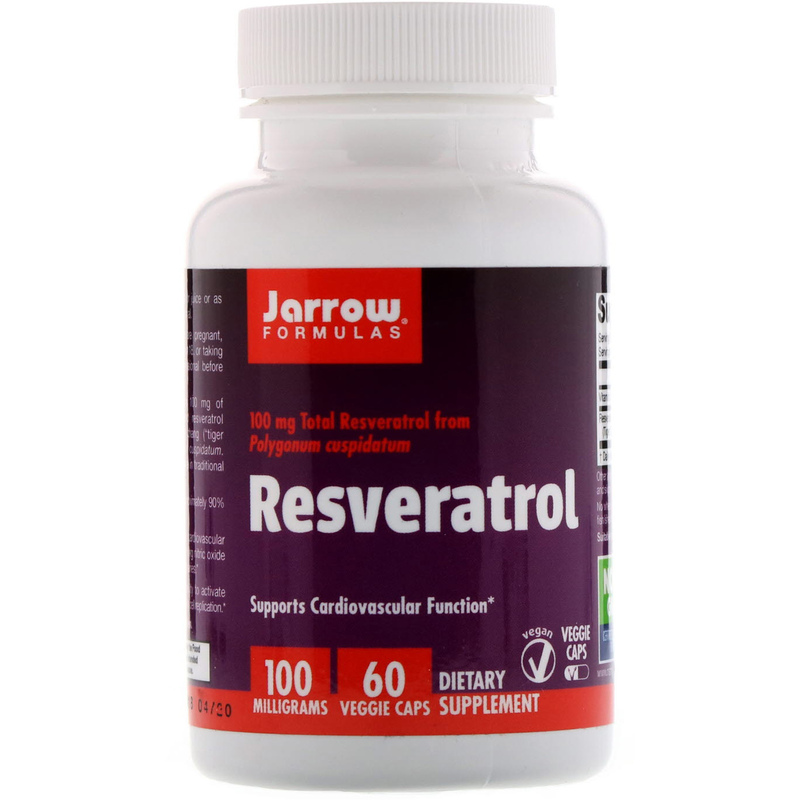 As an antioxidant, resveratrol supports cardiovascular function by inhibiting LDL oxidation, upregulating nitric oxide synthesis, and promoting the integrity of capillaries.